Industry standard development tools to manage your team and deliver working code faster. Sign-up today for your FREE 30 day trial, with no long-term committment! Industry standard tools that make software development more productive. Work together with your team in your own private cloud-hosted Git or Subversion repositories, Wiki and file-sharing space. Create unlimited users and assign permissions to coordinate responsibilities across your development team. Keep up-to-date with your projects by tracking issues, milestones and feature requests. All seamlessly integrated with a complete history of changes to your source code. All the tools you need, hosted securely in the cloud. 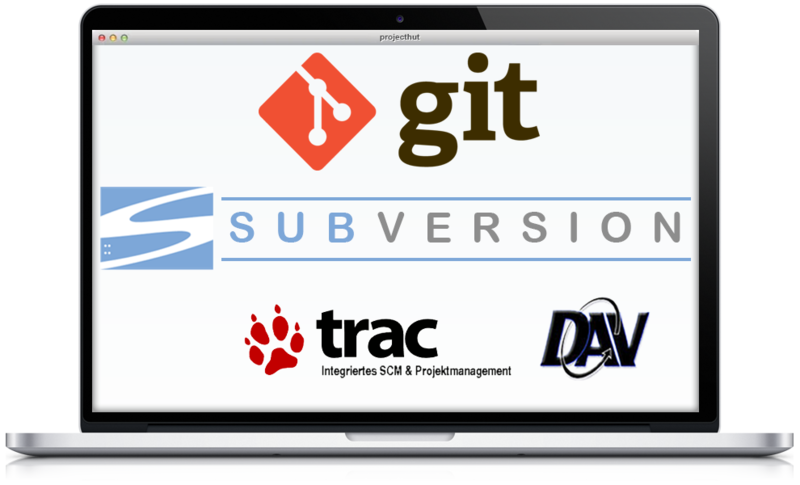 Create, modify, merge and manage changes to your source code with industry-proven Git and Subversion source code management tools. Simple, powerful and extensible issue tracking with the Trac open-source project management system. Keep track of all your project-related knowledge with the integrated Trac Wiki. Share files between team members with ease, using your private online WebDAV network storage area. Manage unlimited user and group permissions with the powerful web-based control panel. Enterprise-grade encrypted SSL connections with full user authentication ensures your content remains secure. Plans to suit any organisation, pay monthly with no long-term contracts. Need help choosing a plan? Learn more on our Pricing page.